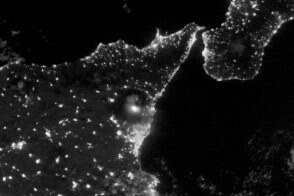 At about 2:30 a.m. local time (01:30 Universal Time) on March 16, 2017, the Visible Infrared Imaging Radiometer Suite (VIIRS) on the Suomi NPP satellite captured this image of lava flowing on Mount Etna—a highly active volcano on the Italian island of Sicily. 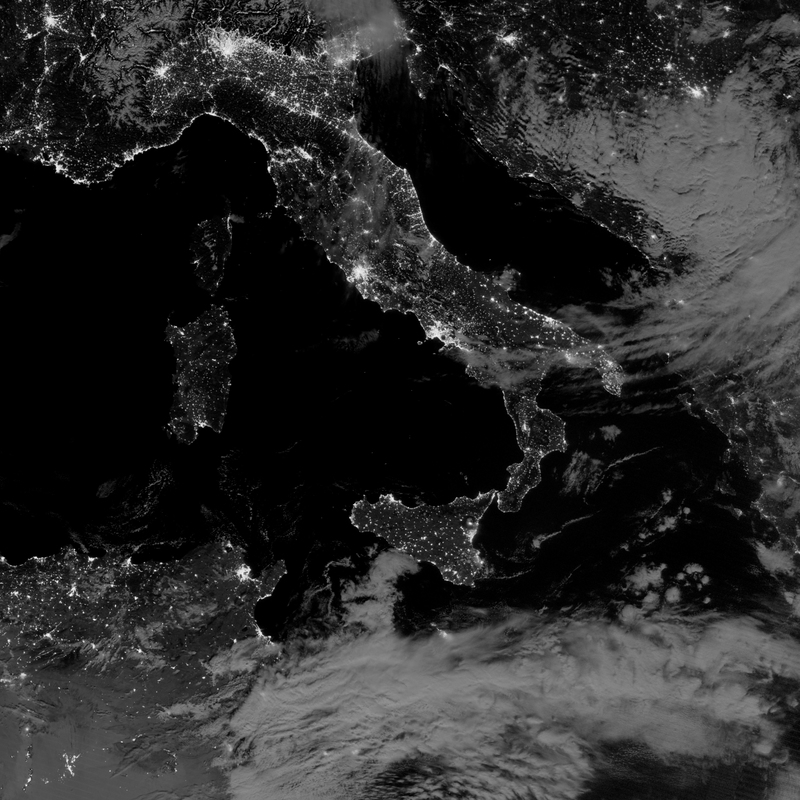 The image was acquired by the VIIRS “day-night band,” which detects light in a range of wavelengths and uses filtering techniques to observe signals such as gas flares, city lights, and reflected moonlight. 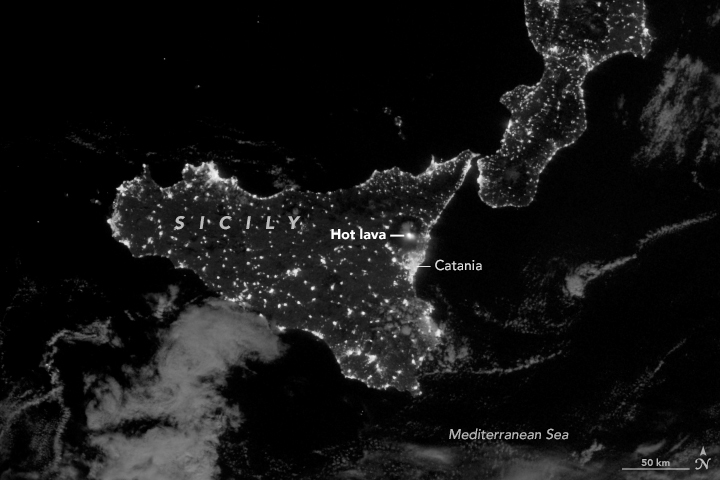 In this image, it detected the nighttime glow of molten lava. 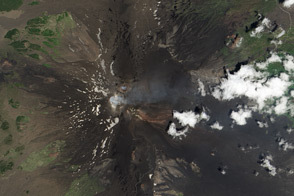 According to news reports, activity at the airport and in the nearby city of Catania has not been disrupted by the latest eruption. However, 10 people on the mountain’s flanks—including scientists and TV crew—were injured on March 16 from a violent explosion that occurred when magma mixed with snow. NASA Earth Observatory image by Jesse Allen, using VIIRS day-night band data from the Suomi National Polar-orbiting Partnership. Caption by Kathryn Hansen. 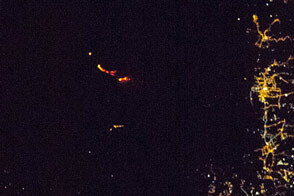 Hot lava is visible at the summit of Sicily's Mount Etna during a recent bout of activity. 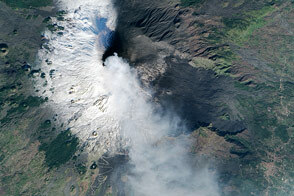 Europe’s largest and most active volcano rumbled with tremors, spewed ash, and spit lava into the Sicilian night. NBC News (2017, March 16) Mount Etna Eruption Triggers ‘Violent Explosion,’ 10 Injured. Accessed March 16, 2017. Reuters (2017, March 16) Volcanic explosion on Mount Etna injures 10 people. Accessed March 16, 2017. 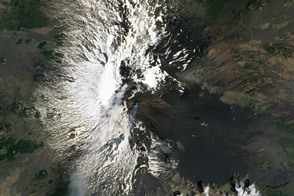 Smithsonian Institution, Global Volcanism Program (2017, March) Etna. Accessed March 16, 2017.